This is a detailed analytic study of voting behavior and party representation in the Czech Republic, Hungary, and Poland in the decade since the fall of communism. The author seeks to map out the basic contours of the three national party systems and to uncover the structures of social and ideological divisions on which the party systems are based. To do so, he uses public opinion surveys, election returns, economic figures, and census records to test standard theories developed in studies of Western democracies, as well as political scientists' predictions about how voters would act and parties develop once the communist yoke was lifted. The book addresses the ongoing academic debate on the question of whether these countries' experiences during the past decade should be described in terms of gradual stabilization or continuing electoral volatility. 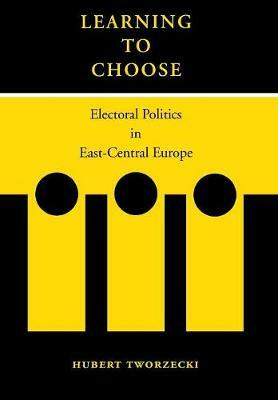 The three countries, generally seen as democratic "success stories" of the post-communist region, have produced, within the span of a single decade, complex multi-party systems, in which elections are not only held regularly, but are actually lost (also with some regularity) by those in power. At the same time, the three countries have carried out a largely successful economic transformation and are currently in the process of being integrated into Western Europe's political, economic, and security structures. The three will almost certainly join the European Union within the next few years, raising the interest among Western scholars and foreign policy professionals in a comprehensive road map of their electoral politics. This book fills that need.